A sponsored feature from Which? Finding the right solutions for care needs in later life remains as challenging as ever. It forces people to make difficult financial, practical or emotional choices, and often while having little previous experience but needing to act urgently and under pressure. Which? Later Life Care is a free and independent source of practical guidance about all aspects of care in later life. There is a wealth of practical information and support on the website to help older people and their carers navigate the complex world of care decisions. Using detailed articles, videos, downloadable checklists and real-life stories, Which? Later Life Care helps to make complex topics as clear and accessible as possible. It also has two handy interactive tools. Previously known as Which? Elderly Care, in October 2018 the site was revamped and relaunched as Which? Later Life Care. 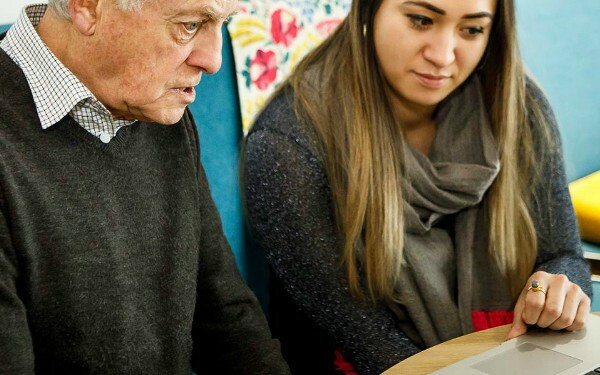 The new site features extra advice content, new and improved tools, and a broader focus that offers support to older people who want to stay as independent as possible, as well as advice for those caring for an older family member or friend. Watch our video for more information about Later Life Care and the tools on the site. The Which? Later Life Care team works closely with external experts across a broad spectrum of subject areas to ensure the information remains accurate and up to date. This makes the website a valuable signposting tool for GPs, occupational therapists and social care professionals. It serves as a trusted source of information and guidance, helping to empower patients and clients to become more informed and confident about their care choices. In an update of the CASS guidance in November 2018, the Government recommended Which? Later Life Care as an approved resource for local authority signposting. While attending events such as the Occupational Therapist Show and the Royal College of General Practitioners conference, the Later Life Care team have heard from care professionals that the following are some of the tools and advice that they know their clients and patients would find particularly useful. Care services directory: this is a valuable and independent signposting tool that allows professionals to refer their clients to independent, unbiased information about their local care options. It provides details of regulated care services across the UK, including care homes, nursing homes, home care services and support groups. Key information about care providers is supplied by the four UK care regulators and features the CQC and CI inspection ratings. Cost of care calculator: this tool can help your clients cut through the complexity and lack of clear information around how much care really costs. By answering a few simple questions, it tells them not only how much care costs in their area (for England only at present) but also if they are potentially eligible for local authority support or will have to pay for their own care. It also provides guidance on the essential next steps to help them on their way. Financing care: explains the ins and outs of financing home care, care homes and home adaptations. Includes detailed information on how much care costs and how to pay for it – covering local authority and NHS support, self-funding options and state benefits – plus guidance on how to organise financial affairs. Home care: everything from dealing with a home care agency to the products that help older people stay safe and independent at home. There’s also information on such topics as living with dementia and coping with loneliness. Housing options: advice on how to find the right living arrangements in later life, from sheltered housing and care homes to downsizing or moving in with family or friends. Advice for carers: information about benefits, support and rights for family carers. End of life guidance: advice on how to plan for care at the end of life and what to do when someone has died. Real-life stories: Throughout the guides, more than 60 real-life stories have been interwoven to bring the issues to life through the experiences of others. Later Life Care is part of Which? Which? Is the largest consumer organisation in Europe. It is an independent, apolitical, social enterprise that works for all consumers, empowering them to make informed decisions and campaigning to make people’s lives fairer, simpler and safer. To find out more about Which? Later life Care, visit which.co.uk/later-life-care. Or contact us directly if you have a question – laterlifecare@which.co.uk.